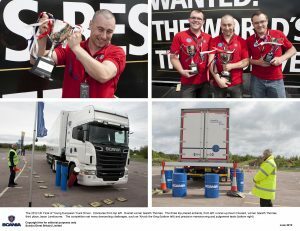 Shrewsbury man Gareth Thomas, 26, has taken first place at the UK Final of Young European Truck Driver 2012, which was staged at the Heritage Motor Centre, Gaydon, Warwickshire on 22/23 June. 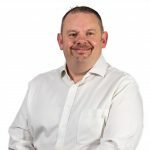 In addition to collecting the winner’s prize of £1,000 and the Michelin award of a passenger drive in a MSport Fiesta Rally Car, this victory means that Gareth will now go on to compete in the European Final of the event where he will have the chance to win a brand new Scania truck valued at 100,000 Euros. Organised by Scania and supported by Michelin, Young European Truck Driver is the world’s largest road safety and driving skills competition. The event has been designed to promote and encourage the highest standards of road-craft and as such enjoys the endorsement of the European Union. In finishing first, Gareth Thomas fought off challenges from eight other contenders, who themselves had been whittled down from a shortlist of 400. 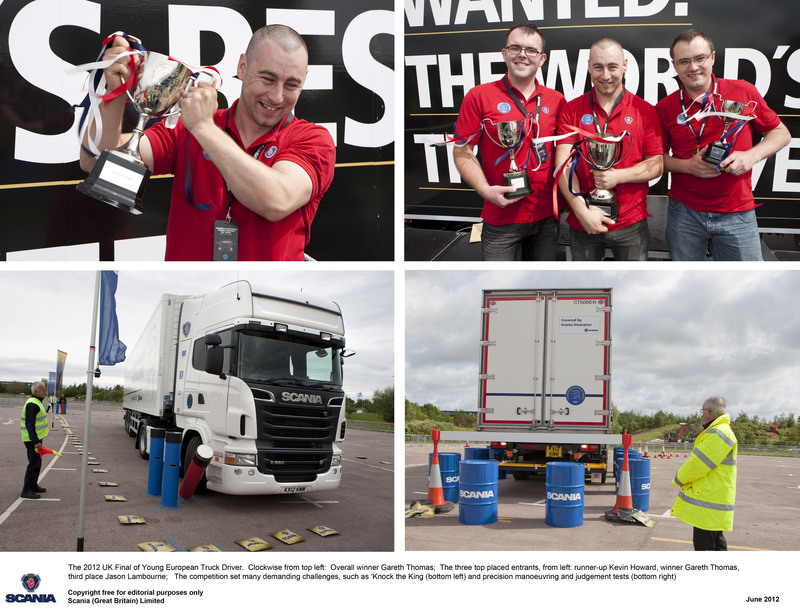 In a gruelling two-day competition, Gareth demonstrated to an independent judging panel that his eco-driving, manoeuvring, safety and judgement skills are the finest in the land – a fact which mean he now holds the coveted title of Young UK Truck Driver 2012. The runner-up in the UK Final was Kevin Howard, of Royal Wootton Basset, with Jason Lambourne of Great Finborough, Suffolk, taking third place. Their achievements saw them take £750 and £500 respectively. “Young European Truck Driver represents a tremendous skills challenge and I am delighted for Gareth,” comments Hans-Christer Holgersson, Managing Director of Scania (Great Britain) Limited. “All our contestants put in an enormous amount of hard work and effort but, of course, there can only be one winner. Nonetheless, I would like to congratulate every young truck driver who took part in this year’s event, every one of them is a credit to our industry. The European Final will be held at Scania’s headquarters in Sweden on 7/8 September 2012. There, he will compete against fellow winners from 25 other participating European nations for the competition’s top prize of a brand new Scania R-series truck valued at 100,000 Euros.